Hey, that tastes good! 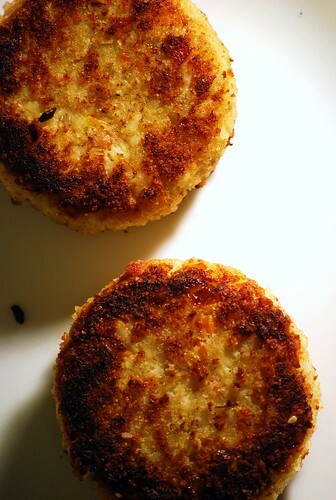 : Crab cakes! I love Alex. Sometimes he makes me fabulous things, like these crab cakes. They are fairly easy to make, and so delicious. Cook the onion, carrot and garlic in 1 T butter until softened. 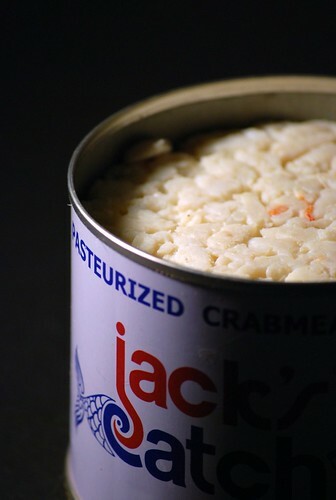 Put the crab in a bowl, add vegetables, salt and pepper, egg, mustard, horseradish, and mayonnaise. Add in the breadcrumbs, 1/4 cup at a time, until the mixture isn't too wet and holds together when you press it into a ball. Divide mixture into six balls, and flatten into tight patties. Coat on each side with breadcrumbs. Heat the oil in a pan, and cook on each side until well browned. Makes six, serve with cocktail sauce or remoulade sauce or just eat plain. I love a good crab cake. I need to get to making these! 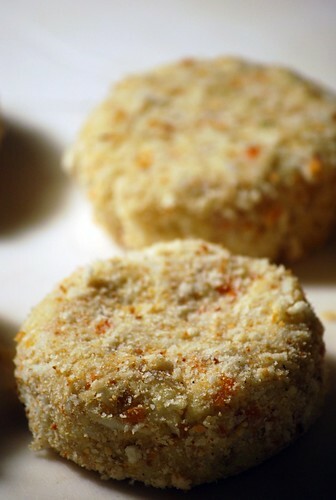 Crab cakes are one of my all time favorite foods. I need to add them to my to make list asap! I sampled Alex's wonderful crab cakes many times at the Warsaw Cafe. Can you please ask him if his infamous "special sauce" found its way into this recipe as well??? ?